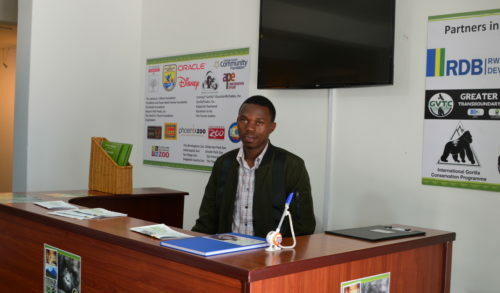 It is now known that many animals exhibit unique behaviors around same-species corpses, ranging from removal of the bodies and burial among social insects, to quiet attendance and caregiving among elephants and primates. 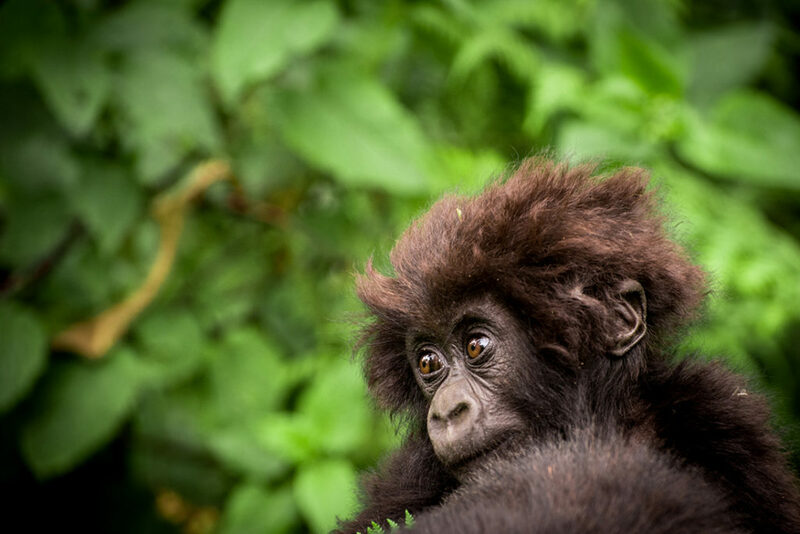 In a recently published study, researchers in Rwanda and Democratic Republic of Congo report their analysis of the behavioral responses to the deaths of three gorillas — both known and unknown — and revealed some interesting findings. 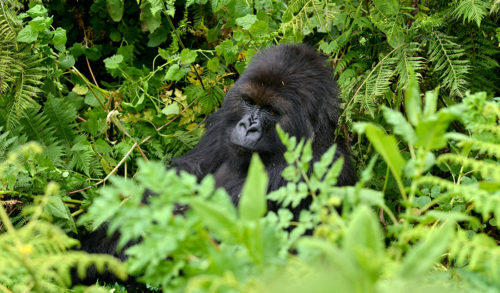 Scientists from the Dian Fossey Gorilla Fund, the University of California Davis, Uppsala University, and the Congolese Institute for the Conservation of Nature, observed and filmed the behavior of mountain gorillas around the corpses of a 35-year-old dominant adult male (the historic silverback Titus) and a 38-year-old dominant adult female (named Tuck) from the same social group living in Volcanoes National Park, Rwanda. Both individuals had died a few hours earlier of illnesses possibly linked to their advanced age. 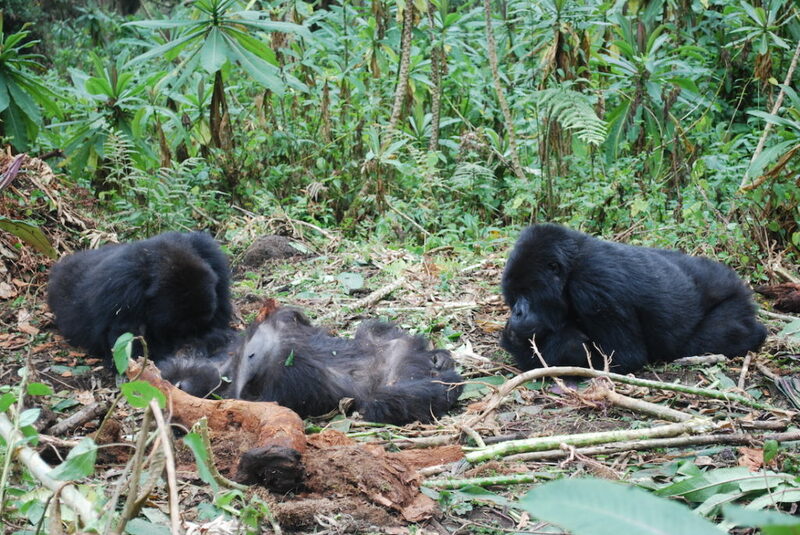 Researchers also studied the behavior of a group of Grauer’s gorillas who found the body of a recently deceased adult male in Kahuzi-Biega National Park, Democratic Republic of Congo. 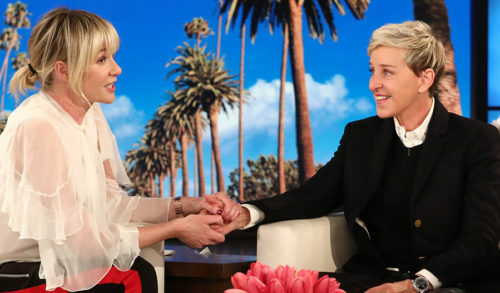 They predicted that more individuals would engage with the corpses of familiar members of their own group compared to the extra-group mature male and that individuals who shared close social relationships with the deceased would be the ones to spend the most time close to body. To the researchers’ surprise, the behavioral responses toward the corpses in all three cases were remarkably similar. In all three cases, animals typically sat close to the body and stared at it but they also sniffed, poked, groomed and licked it. 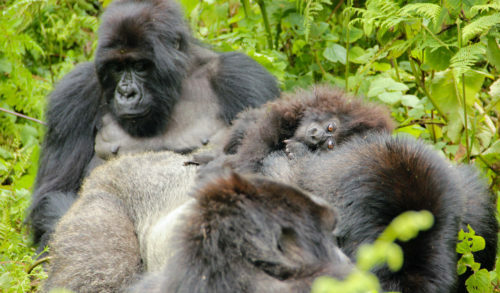 In the two mountain gorilla cases, individuals that shared close social relationships with the deceased were the ones who spent the most time in contact with the corpse. 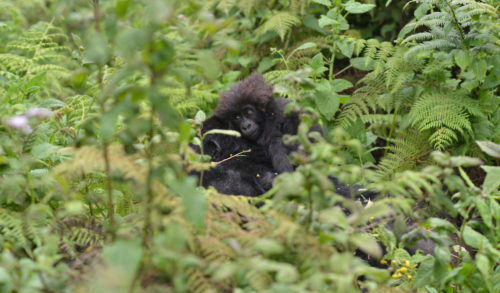 For example, a juvenile male who had established a close relationship with Titus, the dominant mountain gorilla silverback male, after his mother left the group, remained close and often in contact with the body for two days, and slept in the same nest with it. 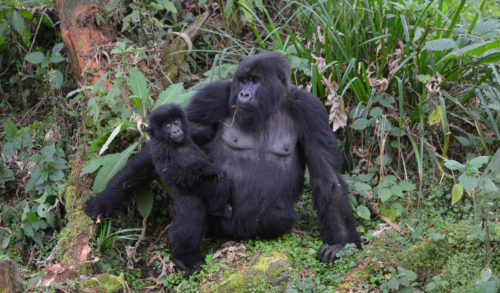 The juvenile son of Tuck, the deceased adult female, groomed the corpse and even tried suckling from it despite having already been weaned, a behavior that could indicate his distress near his mother’s body. This work is not only of interest regarding how animals perceive and process death, but it also has important conservation implications. Close inspection of corpses can present a serious risk for disease transmission. 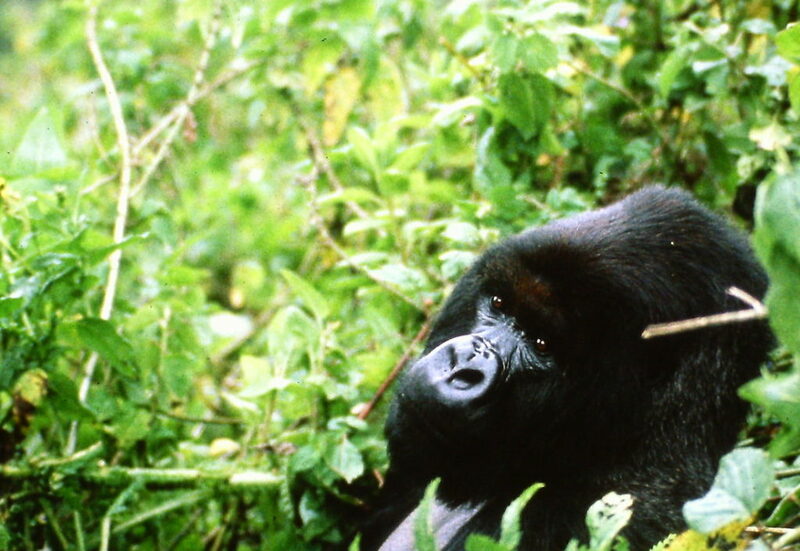 Contacts between healthy individuals and infected corpses may be a major way through which diseases like Ebola, which have affected and killed thousands of gorillas in Central Africa, can spread among gorillas.